"Enriched with torreya seed extract from pure Jeju island, Jejubija Anti-Trouble helps control blemish for clear skin. This spot essence rapidly calms down sudden apparent breakouts with it's Jeju torreya seed oil and green calamine ingredients." 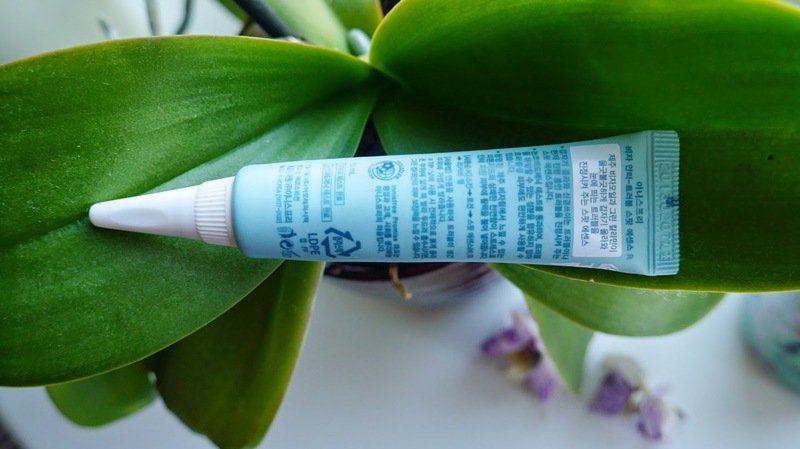 The product comes in a mint blue tube - a great choice of colour as it gives off a clean and calming/soothing effect, making the product appear more trust worthy. A full sized tube has 15ml of product - a sufficient amount for those nasty pimples. The purpose of this product is be used on serious breakouts. 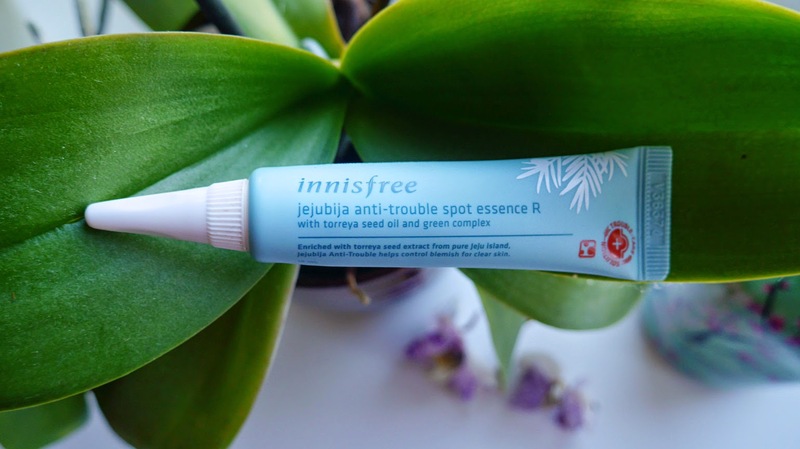 Innisfree also has a Spot Essence W which is used to treat minors breakout and soothe bumpy skin. To use this product, you will need to use a cotton swab to apply it on the desired areas, to prevent bacteria transferring from your fingers. It has a medicated yet calming scent, which is really nice and relaxing. 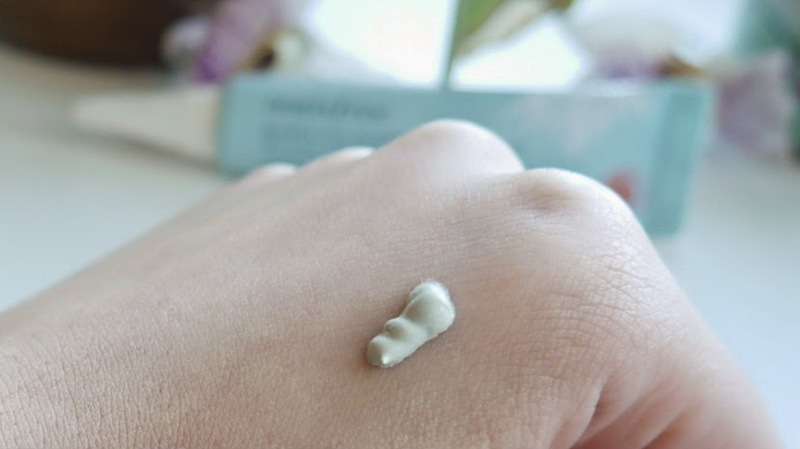 The product has a thick consistency that dries up quickly to a matte powdery finish, like dried clay. The greenish tint helps to counteract redness. So you could wear it under makeup if you desired, however I like to apply it before I sleep. I will look into this product! I'm always looking for something that can calm down my acne. I don't get a lot, but when I do, they are huge and painful! I currently use an acne spot treatment, but I think this would be great to swap every other night so my skin doesn't get used to a product. The Jejubija Anti Trouble line is superb! Have you tried their treatment patch yet? I just started my blog and I hope you stop by!! 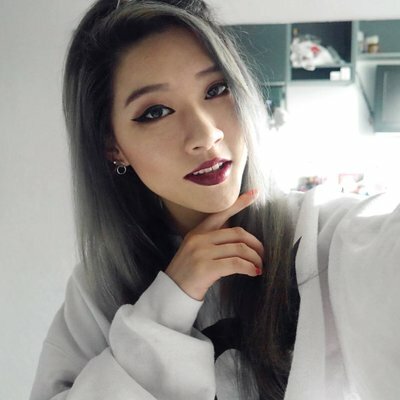 My Blog~Mini Clothing Haul + My Prom Dress!!! I have a small acne problem. It was everywhere T.T does this suit for small acne?